1917...It was inexplicable, impossible, but it had to be true - didn't it? When two young cousins, Frances Griffiths and Elsie Wright from Cottingley, England, claim to have photographed fairies at the bottom of the garden, their parents are astonished. But when one of the great novelists of the time, Sir Arthur Conan Doyle, becomes convinced of the photographs' authenticity, the girls become a national sensation, their discovering offering hope to those longing for something to believe in amid a world ravaged by war. Frances and Elsie will hide their secret for many decades. But Frances longs for the truth to be told. I knew absolutely nothing about the Cottingley Fairies before reading this novel, so I loved learning about their history and the role the photographs of the fairies played in England during the first world war. This is why historical fiction holds such a special place in my heart. Novels like The Cottingley Secret transport me to another place and time and I am able to learn more about that era. There are pictures of the actual Cottingley fairy photographs included in the back of the book as a reference. 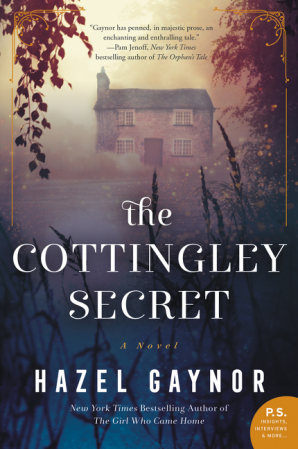 The Cottingely Secret was also my first Hazel Gaynor novel. I loved her beautiful prose, her characters, and the pace of the story. I also enjoyed the creative use of a found memoir as a vehicle for the flashbacks to 1917. A true story within a story. I did find it a bit helpful to draw myself a family tree for Olivia so I could more clearly see how she ended up connected to the Cottingley fairies. Though a century apart, Olivia and Frances were both in situations where they didn't feel fully in control of what was happening around them. Frances felt locked into the secret she was keeping with Elsie, and Olivia was torn between dealing with her grandfather's death or her rocky engagement. While reading, it jumped out at me that the feeling of choice was important to both girls, and I think one message for the reader is about choice, especially when it is connected to our reactions to what is happening around us. We can choose the path of negativity, or we can choose the path of hope. Of faith. Maybe even of magic. The Cottingley Secret is a must-read not only for those who enjoy historical fiction, but also for fans of Sarah Addison Allen and those who remember to keep their eyes open for the magic in the everyday. Connect with the Hazel Gaynor on Facebook, Twitter, and her website. The Cottingley Secret is available wherever books are sold. You can get it on Amazon or directly from HarperCollins. 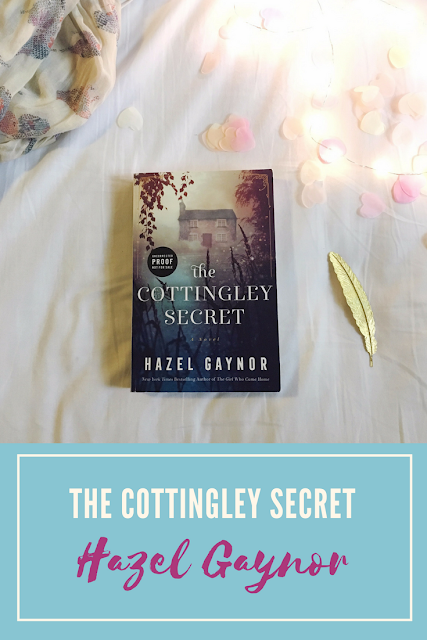 Disclaimer - I received a copy of The Cottingley Secret courtesy of TLC Book Tours and HarperCollins. All thoughts and opinions are entirely my own.